Today we start from Joetsukan through Choshibasi. Here is the more more major Rapid we have in Tonegawa. 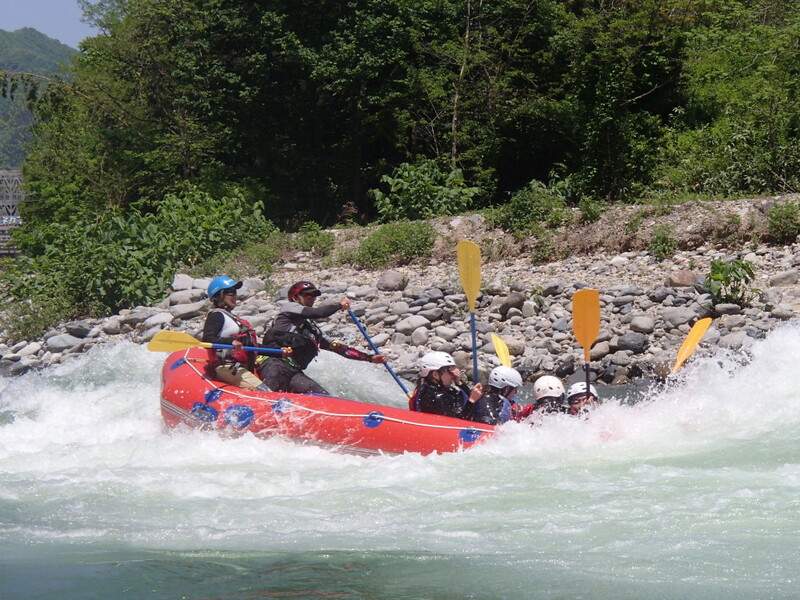 There is a name of rapid called Ryugase, Flippers, Shout gun, Mega Wash. Our special guests were enjoying all those whitewater. Look at the background how beautiful green valley and rafting same time. Spring season is calling you to play all those beautiful moment, Please feel free to play on it.